In this program, we will be setting our intentions, then opening the energetic pathways of the body with several Qigong styles to release stuck qi and absorb new and vital life force energy. Each day will begin with a morning mindful walking meditation to help clear our minds and set our focus for the day’s practice. The movements we will practice are suitable for all levels and most can be adapted for those who have difficulty standing. Robert Evans is a certified qigong instructor with the Institute of Integral Qigong and Tai Chi. He has been teaching qigong for 16 rears. He is also a certified yoga teacher with Yoga Alliance (RYT 500) and he also studied yoga therapy at Loyola Marymount University. Robert is a certified personal trainer and corrective exercise specialist and is currently studying the physics and biomechanics of movement. 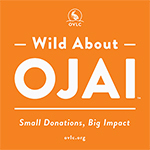 To learn more, visit www.omojai.com. Afternoons are generally open to explore the Parks, hike, swim, socialize, read, rest, or enjoy other activities. Sunday morning session after breakfast: 10 a.m. – noon. Program adjourns after Sunday lunch.